The Dr. Harold and Dorothy Seymour Medal honors the best book of baseball history or biography published during the preceding calendar year. Not more than one Seymour Medal shall be given each year. If, in the judgment of the awards committee, a worthy candidate cannot be found, no medal shall be awarded. 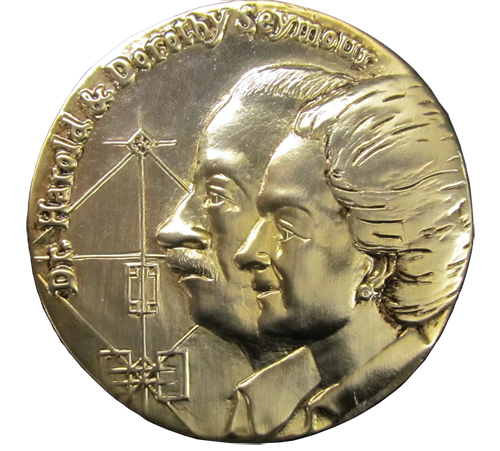 To learn the history of the Seymour Medal, its idea and origin, the preparation of the unique medal and how it was created, click here. To read Dorothy Seymour Mills' article "A Woman's Work: Doing Research With Harold Seymour," click here. The first three Medals were awarded at the SABR National Convention. In 1999, SABR held the first Seymour Medal Conference at Cleveland State University in conjunction with the awarding of the medal. Today, SABR awards the Seymour Medal at the banquet of the annual NINE Spring Training conference in Tempe, Arizona. The selection committee consists of: Andy Andres (chair), Leslie Heaphy, and Amy Essington. To view more detailed criteria on selecting the Seymour Medal winners, click here. Please note: Only ONE entry per nomination will be considered (do not submit multiple nominations).